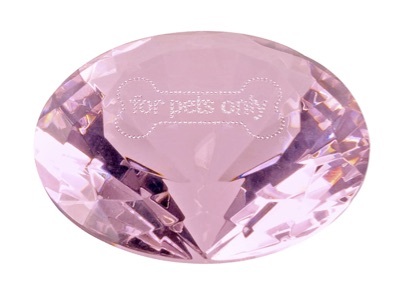 For Pets Only s.r.l. is a top company in the production and distribution of fashion accessories for cats and dogs. An idea from Silvia Savi, the company was set up in 1998, soon establishing itself in the sector providing its offer to a demanding and selected range of customers. 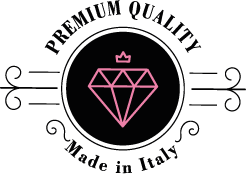 One of the company’s distinguishing elements is the quality and exclusiveness of the products, the ideas proposed and the originality of the creations. The company produces its collections in its Milan atelier and it presentstwo collections each year, summer and winter. All the articles are hand stitched. The lean company structure and the attention paid to the needs of customers make it possible to create unique, tailor-made articles, and to customise pet’s baskets even in the customer’s own fabric. The finest fabrics are chosen and they are reserved for clothing: this choice has led to a preference for natural, valuable fibres such as cotton, wool and cashmere. The products are distributed through carefully selected local agents found throughout the country. The first For Pets Only corner department within the legendary Fiorucci multi-store was launched in 2001 in Milan. Its huge success induced the owner, Silvia Savi, to open a “flagship store” in the heart of Milan, near St. Babila in via St. Pietro all’Orto. Opened in September 2003, the boutique was an immediate success, receiving customers from all over the world. 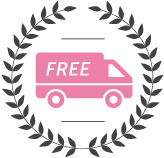 Apart from the complete For Pets Only collection, there is also a range of organic food from the best companies in Europe and you can find also beauty care articles. For Pets Only Beauty & SPAis a luxurious beauty salon for our small friends, set into the first and exclusive boutique, For Pets Only. The new well-being centre is equipped with the best apparatus and it has highly qualified staff specialised in the grooming of various breeds. Inside the SPA, the prevailing values are of love and care for animals. The goal is to make them feel happy and pampered in a moment that, in most cases, is viewed with fear leading to stress. The treatments are only done by appointment, so with no rush, taking just one dog or cat at a time in a gentle and considerate way in order to assure a comfortable and relaxing moment for our customers and their owners. It is also offered a complete range of cleaning and hygiene services: ears, eyes and nails. Relaxing music, fragrant candles, a softened ambience, the loving care and the major experience of the staff are all a guarantee of reliability and conscientious service unique in its kind in Italy. 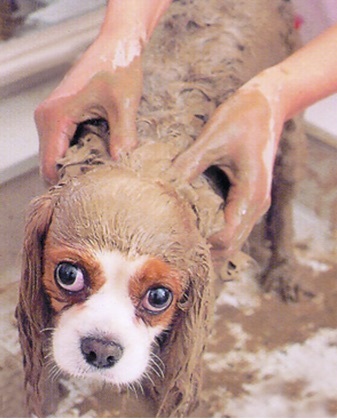 The therapies based on clay offered by For Pets Only Beauty & SPA are a total innovation in the beauty and therapeutic treatments of our cats and dogs. 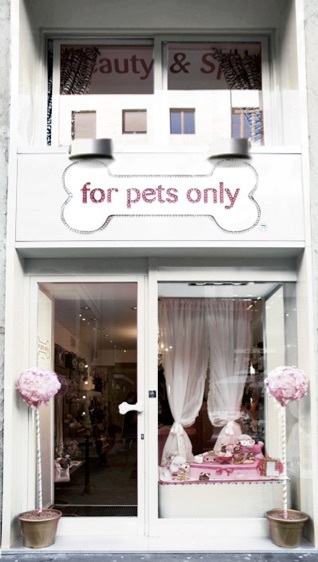 In January 2014, in the carré d'or Monte Carlo, openes a very luxurious boutique, where you can find all the complete line of accessories For Pets Only for our beloved four-legged. For Pets Only MC is also a beauty salon where the first thing is the love and respect for animals, with the aim of offering them a moment of wellness and pampering. For this reason the treatments are made by appointment only and especially with sweetness, so as to ensure maximum comfort and well-being of our puppies. In September 2014, after the great success in Milan Silvia Savi, opens her second flagship store, in the heart of Rome, Campo Marzio 10 / b. 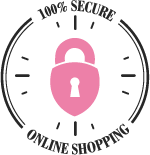 A very luxurious boutique, where you can find all the complete line of accessories For Pets Only: collars, leashes, clothes, kennels and a huge selection of accessories, delicious biscuits and toys of the best brands from around the world. Silvia Savi is the businessperson and fashion designer that have managed to combine two great passions: love of animals and enthusiasm for everything concerning fashion and trends. Backed by the consolidated experience of a career in marketing and customer care, and having carried out a substantial amount of voluntary work with animal welfare associations, in 1998, Silvia Savi created For Pets Only thereby turning her hobby into a profession. “I started out purely because, loving my dogs, I used to make up clothes and accessories for them inspired by the current fashions. This idea went down so well with my friends that suddenly I was overwhelmed with requests”. As well as being the owner of the company and the boutique-spa, Silvia Savi personally designs all the For Pets Only collection.